I’m a holistic nutritionist that loves taking the ordinary, and making it kick a$$! It’s time to get creative and step outside the box. Healthy doesn’t mean boring bland salads, or mind-numbing workouts you hate. Health is about finding something that gets you super pumped and excited about your overall wellness, and I’m going to help you find it. The #1 question I’m asked when I’m out giving a seminar or consulting with a client is, “What do you eat?” People want to know what we health professionals are eating, what our favorite foods are and what some staples that we just can’t live without are. Well you’re in luck! I’m going to share with you my favorite foods that I consume on a daily basis, foods that I need to have on hand at all times. When Life Gives You Lemons...Use Them! Although lemons seem very acidic, they are actually alkaline-forming in the body once consumed. Alkaline-forming foods are important to help keep our bodies in balance while not compromising other functions in the body. My favorite ways to use lemons are to squeeze some fresh lemon juice in a glass of room temperature water and drink first thing in the morning, and or, add the juice from ½ a lemon into my morning green smoothie for some extra flavor and some of these amazing health benefits lemons have to offer. Speaking of green smoothies, greens are another group of foods I can’t live without. My personal rule is to eat something green with every meal and snack I consume throughout my day. It’s pretty much impossible for me to choose just one, since I enjoy them all! I love switching up the greens I use on a weekly basis, spinach, kale, chard, broccoli, and have all made an appearance in my refrigerator. 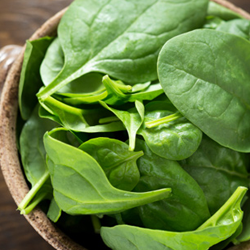 Greens are definitely considered superfoods, since they are so jam packed full of vitamins, minerals, enzymes and chlorophyll! Blueberries, blackberries, and raspberries; much like greens, I cannot choose just one. These dark berries pack a nutritional punch being a great source of antioxidants. Antioxidants are great for supporting longevity, managing inflammation, and making you look good, since they help with cellular repair and regeneration. Who doesn’t want that! Toss them in your salads for a summertime flare! Or more importantly, almond butter! Almonds are great to be enjoyed just on their own, but what really makes me excited about this food, is when it’s made into rich creamy almond butter. Almonds are a great source of healthy fats, and protein, which makes them one of my kitchen essentials. If I’m not snacking on almond butter, I’m probably sipping on almond milk. 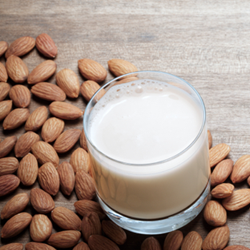 Try making your own almond milk sometime; it’s easier than you might think. I’d like to think that all those haters out there have done there research and found that, healthy fats are one of the latest trend these days! Coconut oil, avocados, chia seeds, and hemp seeds all hold a place in my heart and on my shelf. They’re great for cardiovascular health, and inflammation management. Now that you know my favorite foods, what foods can’t you live without?